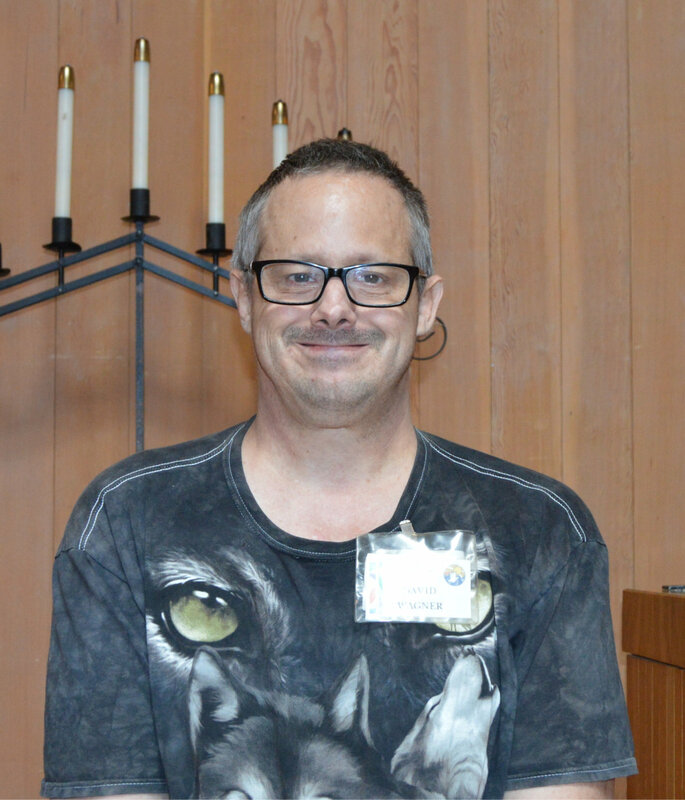 David Wagner started in 1985 serving Dove of Peace in various roles. Currently his job is to see that the church is opened and everything is ready for our worship services including the hospitality tables and coffee. We have several worship services which required different set-ups. David makes equipment and arrangement changes between services and then again after the last service on Sunday, he put equipment away and changes everything back so it is ready for the next week. He starts early and stays late. David, his parents and brother have been members of Dove of Peace since 1970. He is very interested in AV equipment and photography. He told me, “at Canyon Del Oro High School, Mr. Gail Skinner, the AV technician, got me interested in videotaping basketball.” He continues to keep up with the changes in these areas of interests.